This was a fun build. 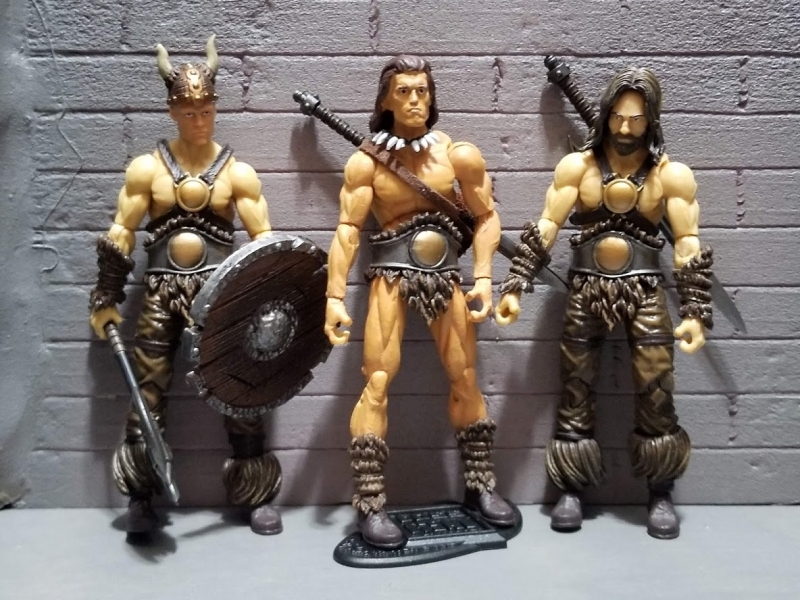 Conan the Barbarian is a must have to fill the ranks of any fantasy action figure collection you may have. I got the idea when I saw Boss Fight Studios Vandar figure. 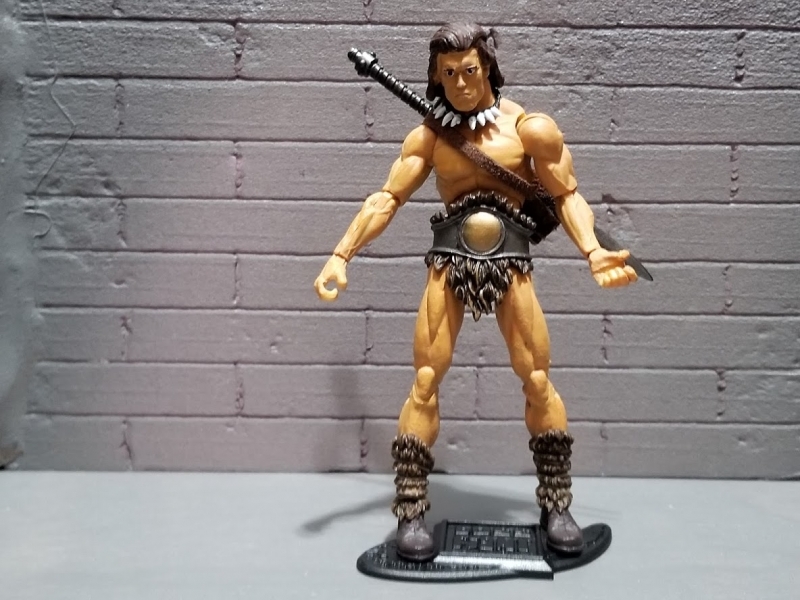 I figured that with the proper head he would be a quick custom to become Conan. The head sculpt I used is from Coby at Avacs Labs. It's a great sculpt. I ordered a Boss Fight Studio Vandar figure and also ordered Zap Rowsdowers Male Neck Pegs off Shapeways. First problem I came across was skin tone. The color I chose for the head sculpt did not match the Boss Fight figure so I repainted the entire figure. The paint I used was Vallejo medium skin tone. Also, I know the eyes are not perfect. But since I see Conan as a crazed barbarian, I feel that they are okay. He has that crazy look to him. So, I put the painted sculpt on the figure and it looked good but it was still off somehow. I then realized the pants had to go. Even though I remember seeing Conan the Barbarian wearing some type of pants in pictures Arnold's muscles are what stands him apart from the rest. I swapped the legs with a Boss Fight Basic Orc figure, primed them and painted them also with the Vallejo medium skin tone paint. The sword sheath is leather and custom made by me. I will replace the sword when I find a suitable replacement broadsword. The tooth necklace is also from the Orc. 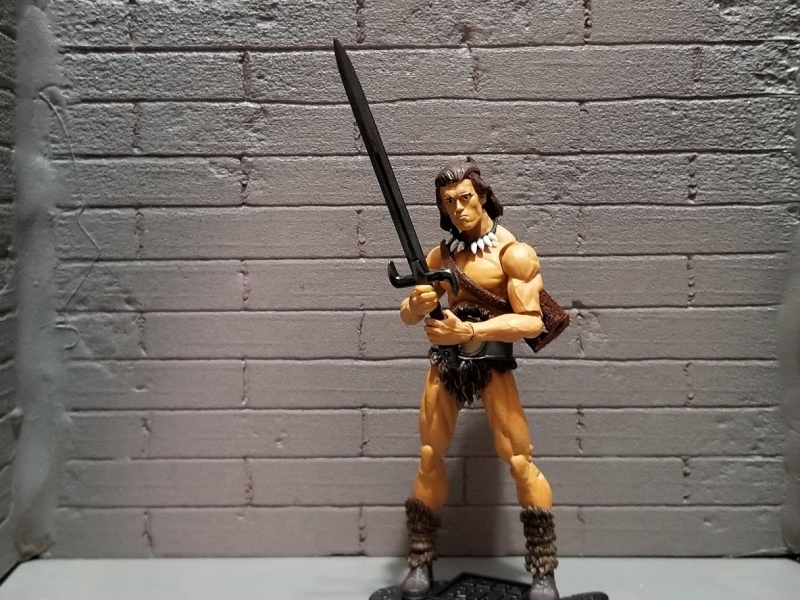 I took a photo for comparison of Conan next to a factory Vandar and a generic Barbarian. 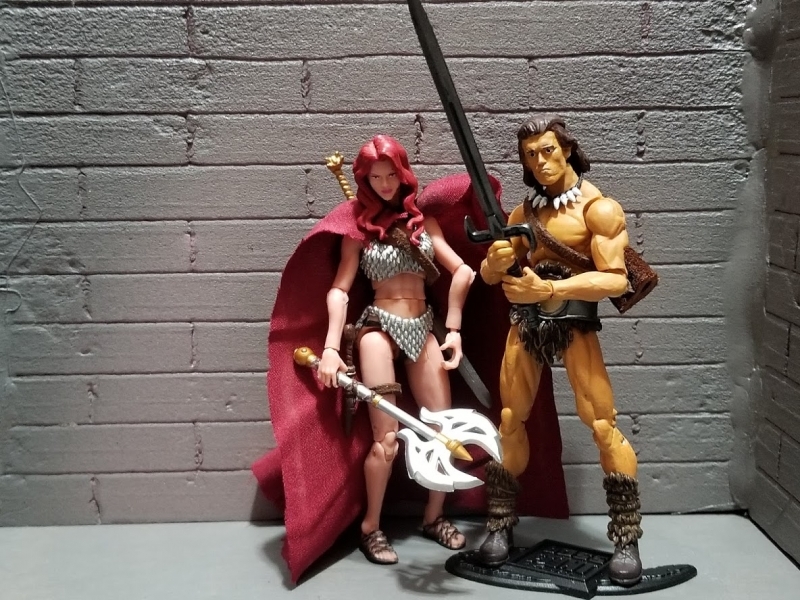 There is also a photo with Red Sonja because she is awesome. Enjoy!